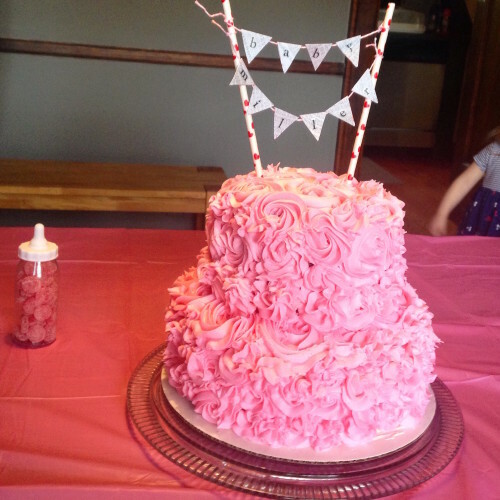 I also made the cake: chocolate filled with a dark chocolate ganache and vanilla with a white chocolate ganache, iced in a pink Swiss buttercream. Yum! As I was writing I realized that I have been creating recipes and sharing them online for seven years now. SEVEN years! I can’t believe it. There will be no pomp and circumstance in celebrating my seven years. Instead I am sharing the easiest recipe I probably have ever made. 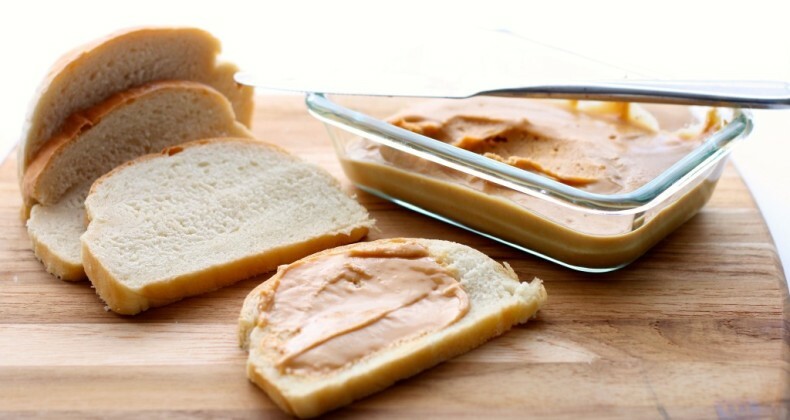 Have you ever made your own peanut butter? It is crazy stupid easy, especially, if you own a food processor. I am shocked this is the first time I have actually done it. Necessity is the mother of invention, right? And comfort food heals the soul, right? My family has been fighting off colds for awhile now and to be a good mother hen I made some chicken noodle soup. And chicken noodle soup needs to be served with half a peanut butter sandwich. Why half? Well that is what they served in elementary school and it just feels right to me. Fast forward to me opening up the pantry to get out the peanut butter. Except in this case there was no peanut butter. Bummer! I did have some dry roasted peanuts though. I was really set on serving peanut butter sandwiches so I poured those peanuts into the food processor and let them whirl around for about seven minutes. I drizzled in a little local raw honey to sweeten it and a tiny bit of coconut oil to help smooth the peanut butter even more. Holy yum! 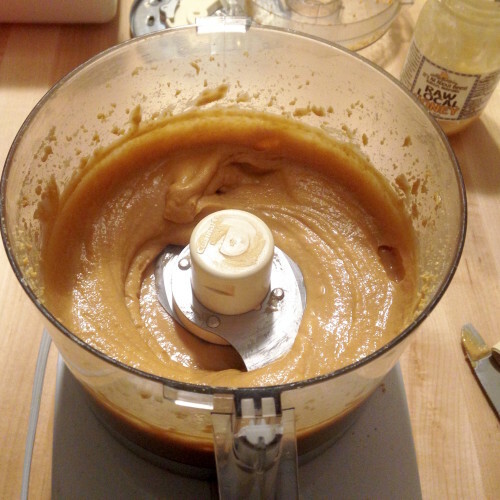 Now I know how crazy stupid easy it is to make my own nut butters I can’t help but think of almond butter or cashew butter. Dreamy! Pour peanuts into food processor. Process on high until smooth and creamy, scrapping bowl occasionally. First nuts will turn in to a fine ground. Then they will begin to stick together, use spatula to scrape the bowl. Then they will become a thick paste that will eventually turn smooth and creamy. Aww you’re sweet Pamela. Thanks! That does sound easy! 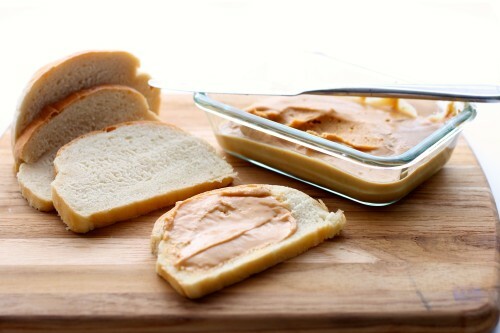 We go through so much peanut butter in my house, I really ought to consider making my own from now on. It is crazy easy. I don’t see myself buying peanut butter anymore. I cannot even tell you how delicious this sounds! I bet it would be awesome using almonds instead of peanuts, too! This peanut butter would *not* last a month in our house! Excellent. It only lasted a week! Yummy and easy….who could ask for more…? I love this idea! Congratulations on 7 years of recipes! I can’t even fathom that.